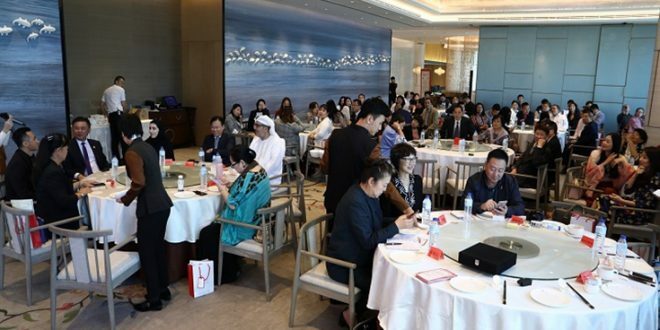 The Sharjah Airport International Free Zone (SAIF ZONE) has recently held an expanded business meeting with a high-ranking Chinese delegation, comprising officials and businessmen from the Chinese Business Union and Society, Liaoning Business Council, Shanghai Business Union and Society and other Chinese bodies and institutions interested in taking Sharjah as a center of their operations in the region. The 60-member delegation was led by Mr. Xu Xiao Ping Acting Chairman of the Chinese Business Union and Society, accompanied by Ms. Wang Mingfeng, Vice President of the Chinese Business Union and Society. The delegation also included Mr. Fan Yewei, Chairman of the Liaoning Business Council, Ms. Zhang Qiongying, Chairman of Shanghai Business Union and Society as well as other Chinese officials and representatives of the Chinese embassy in Dubai. During the meeting, the Chinese delegation was briefed on SAIF Zone services and exclusive advantages offered to investors to attract foreign investments and create conducive environment investors are looking for, which made it one of the most important free zones in the region. 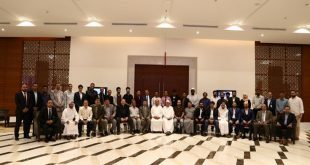 As part of the Chinese delegation visit, bilateral meetings were held between Chinese businessmen and Emirati counterparts to explore avenues of cooperation and the possibility of establishing new partnerships to pave the way for greater economic activities, especially in light of the numerous advantages offered to all investors at SAIF Zone. His Excellency Saud Salim Al Mazrouei, Director of the Sharjah Airport International Free Zone Authority, reaffirmed the authority’s keenness to satisfy the growing needs of Chinese businessmen by providing new facilities and services, especially as China has become one of the UAE’s most important trade partners. “SAIF Zone is making every possible effort to develop the UAE-China economic ties and is providing state-of-the-art infrastructure that absorbs Chinese investments in all sectors, helps them grow, develop and expand, Al Mazrouei added. 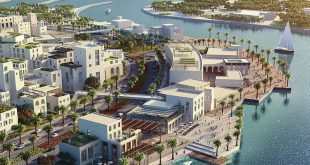 Calling on Chinese investors to make the most of the free zone’s competitive facilities especially in the service, industrial and trade sectors, Al Mazrouei said: “We are doing our best to meet the increasing needs of investors. 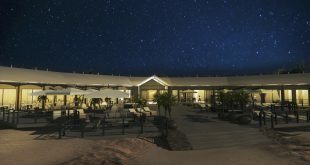 To that end, SAIF Zone provides a wide range of facilities including customs privileges on all goods transported through all Sharjah ports and the free zone, modern and sophisticated facilities, well-equipped and air-conditioned offices, customizable warehouses of various sizes with annexed offices, land plots for rent”. “We have currently more than 8,000 companies from around 165 countries operating in the free zone with Chinese investors having the lion’s share of total investments. 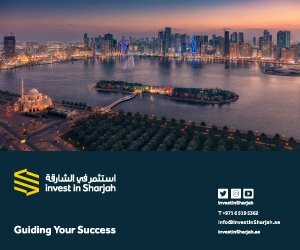 We are ready to grant more facilities and privileges so as to support Chinese investments and encourage investors to take Sharjah and SAIF Zone as a springboard for their businesses in the region”, he further said. The free zone’s incentives and advantages include 100% foreign ownership of businesses, 100 % repatriation of capital and profits, and 100% corporate or personal income tax exemptions, 100% import and export tax exemptions. Incentives also include 24/7 services where all licenses are issued within one hour, in addition to a hotline that guarantees immediate manpower and equipment, immediate shipment and customs clearance, 24/7 security and emergency services as well as labor accommodation within the free zone. “The Sharjah airport free zone has become an adequate basis for manufacturing, assembly, packaging, import and re-export services thanks to the availability of containers storage area, storage warehouses as well as legal and courier services, customs clearance office, banking and medical services in addition to transportation to the city”, Senior officials from SAIF Zone said. Stressing the delegation’s interests in making Sharjah a leading destination for their investments, the acting Chairman of the Chinese Business Union and Society said: “The meeting was very fruitful. We have learned much about the reality of investment in Sharjah and the benefits of setting up businesses in SAIF Zone. We have had enough information on the investment landscape in SAIF Zone”. The Chinese delegation members expressed their admiration at SAIF Zone services, lauding its advanced infrastructure tailored to meet their investment requirements. They further highlighted their increasing interest to expand their businesses in the region’s markets through SAIF Zone, thanks to its fertile environment for business growth and investment development.